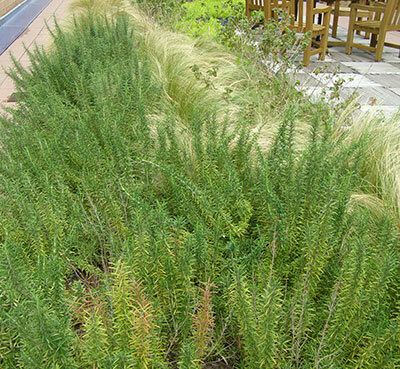 Vegetation is arguably the most critical component of a vegetative green roof system. While substrate materials and growing medium are crucial engineering elements, the entire system needs to be integrally designed and vegetation is key. 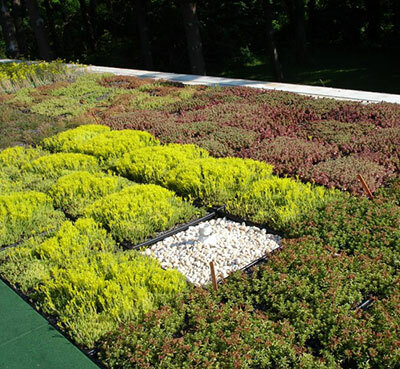 While numerous plant species are available, there are also untold variations in roof and building design that can affect vegetative green roof performance. GreenGrid has years of expertise and staff horticulturists to help you properly select vegetation for your particular application. Click here to learn more about planting options and the intricacies of proper plant selection. Plants, as living things, require light, water, and macro and micro-nutrients to survive. Plants for your vegetative green roof project should be chosen for the environment in which they are to grow, thrive, and ultimately survive the life of the building. Therefore careful plant selection is essential to success. Selecting the “right plant for the right place” should be the basis of your vision rather than using ground-level-based plant characteristics as the basis of your design. The best vegetative green roof plants are those that can survive in tough conditions and be less nutrient-reliant than those plants typically found in most gardens. Given the harsh environments of where vegetative green roofs are placed, the vast majority of plants typically used in creating landscapes are for the most part eliminated from consideration. That being said, there are still many varieties of plants that thrive in rooftop conditions. When designing a functional and/or designed (Extensive) vegetative green roof the best types of plants are those that have a keen attribute to thrive in drought-like conditions. Plant mixes are usually made up of hardy succulents that can thrive in a thin (4- or 6-inch) growing medium profile with limited care and maintenance. Hardy succulents are the “backbone” of all extensive vegetative green roofs because of a metabolic process unique to them called Crassulacean Acid Metabolism (CAM), or CAM photosynthesis, which allows them to survive in harsh conditions. CAM photosynthesis is a carbon fixation pathway present in some plants. These plants fix carbon dioxide (CO2) by opening their stomata during the night, storing CO2 for photosynthesis, and then closing their stomata during the day. Being able to keep stomata closed during the hottest and driest part of the day reduces the loss of water through evapotranspiration, allowing CAM plants to grow in environments that would otherwise be far too dry. CAM plants often display other xerophytic or xeric characters, such as thick, smaller leaves with a low surface-area-to-volume ratio; thick cuticle; and stomata sunken into pits. Succulents, in particular, store water in their vacuoles. Hardy succulents include plants found in the Genus Sedum, Sempervivum, Talinum, Jovibarba, and Delosperma; they are the best choices for thin growth-media-profile, non-irrigated extensive vegetative roofs. Sedum is by far the best of these species for a wide array of conditions because its hardiness ranges between USDA Zone 2 to Zone 9. 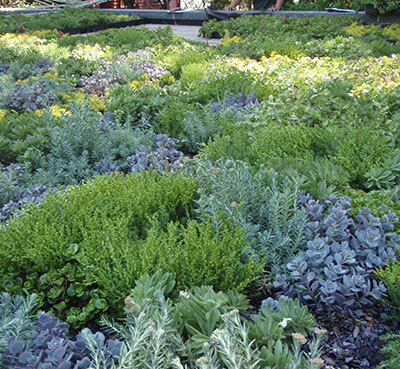 Herbaceous perennials can also be used in extensive vegetative green roofs because they offer many aesthetic design advantages to succulents. However, they should not make up the bulk of the plant mix but rather be used as accents. 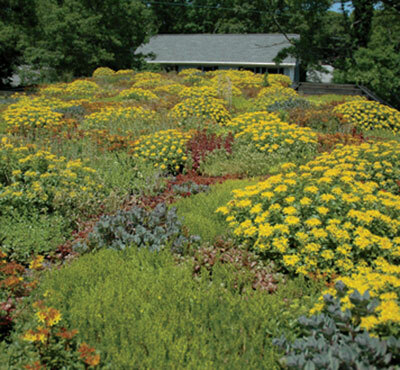 Most herbaceous perennials have limited drought tolerance and the ability to thrive in an extensive vegetative green roof without supplemental irrigation. However, some species of Alliums, Dianthus, and Phlox have shown promise as accent species in some regions. Regional and site-specific considerations should be examined when selecting herbaceous perennials. Rooftop gardens or intensive vegetative green roofs typically have thicker growing medium profiles leading to a larger pallet of vegetation to choose from for design. However, intensive vegetative green roofs do present the same challenges as extensive designs, and the “right plant for the right place” as your basis of design still stands. The GreenGrid system offers an 8-inch depth module that is suitable to many conventional perennials and grasses, native forbs and grasses, herbs, vegetables, and small shrubs. Using a mix of native species may qualify for LEED points by creating/restoring habitat. For intensive plant suggestions and design ideas, please contact your local WESTON GreenGrid representative. 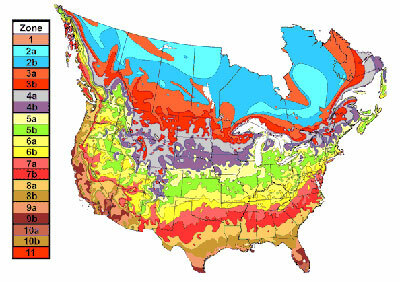 Extensive plant mix is typically composed of deciduous, semi-evergreen, and evergreen “base” species with “accent” species. 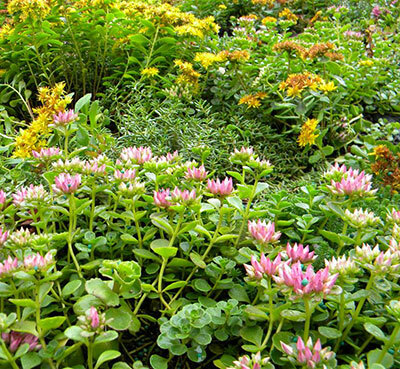 The base mix is generally composed of five to eight species of Sedum with one to two accent species. Consult your local WESTON GreenGrid representative for plant recommendations. 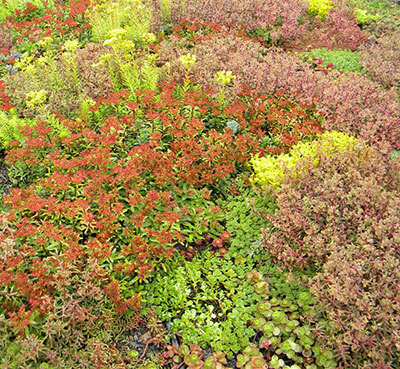 Intensive Vegetative Green Roof System plant selections may include varieties of ornamental and/or native: groundcovers, grasses, perennials, and in some instances trees and shrubs. Depending on the plant selection, an irrigation system is generally needed and since these rooftop gardens are similar to a backyard garden they will require varying degrees of long-term maintenance and care. When designing an intensive or rooftop garden, consultation with your local WESTON GreenGrid Sales representative is strongly recommended; we have trialed numerous species and can help select proven performers for your project. GreenGrid Pre-Vegetated Modules: GreenGrid modules are to be filled with GreenGrid species desired by the client suitable for vegetative green roof applications. Plants are to be grown to various levels of maturity at the nursery prior to delivery and installation. Plants are grown to full maturity (approx. 95%+ coverage) under nursery care. Modules are grown out at our partner nurseries in accordance with the client specifications, delivered to the job site, and installed for an instant mature vegetative green roof. In addition to the instant aesthetic appeal, fully grown-out modules provide other functional benefits: a mature vegetative green roof is less susceptible to weed encroachment, and mature vegetation helps protect the growing medium from potential wind scour and water erosion. This translates to a successful vegetative green roof with less maintenance. 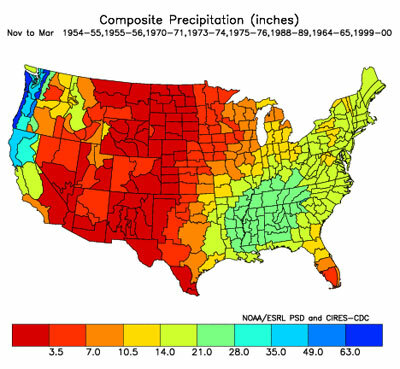 Lead times vary; consult your WESTON GreenGrid representative. 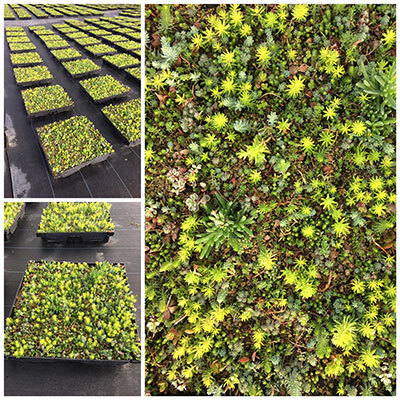 Sedum mats grown to full maturity can be either installed at the nursery prior to delivery or installed in concurrence with the modules on the rooftop. Mats are planted with Sedum cuttings and are composed of three primary species and a multitude of secondary species. This is an expensive option, but the advantage of instant coverage with short turnarounds makes this a potential option. Upfront watering (4 to 5 times per week for the first 45 days) is vital to long-term success. Consult your WESTON GreenGrid representative for availability and lead times.